No License needed to own this sword created using only traditional processes. As China's pre-eminent custom knifemaker, Paul Chen's blades usually start at about £400 and work up to several thousand. They have a genuine differentially heat treated blade which rivals any folded blade for strength and quality. 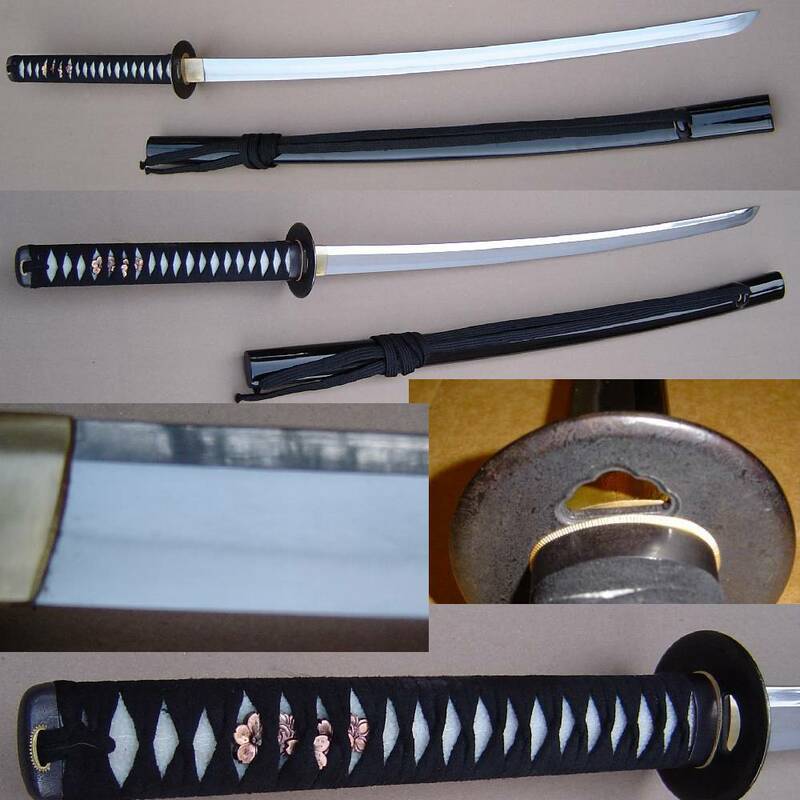 Measures 39.5" Overall, the 27" high tension carbon steel blade is very sharp, forged and differentially tempered, using the same process as the more expensive blades and producing an RC60 cutting edge and RC40 shock-absorbing back. The temper line is authentic and prominent. The handles are wood covered with tough imitation rayskin then wrapped with suede in the tradtional fashion. A superb item designed for everyday martial arts use. Logos and Trademarks are the property of their owners.